What are some ways to improve an outdoor learning environment without breaking the bank? Adding a natural building play area to an outdoor learning environment is an easy and inexpensive way to diversify free play. 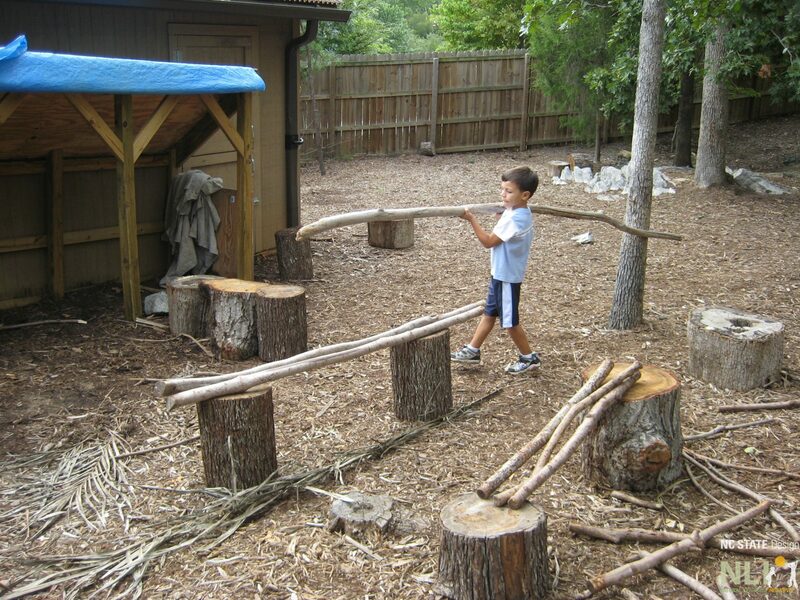 Any assortment of safe natural materials = instant imaginative build-your-own play area. All you need are the materials, the kids do the rest! Possibilities include: bamboo poles, bark wedges, straw bales, small stones, log stumps, tree cookies, trimmed branches, pine cones, large leaves, ropes or cord, burlap, cardboard boxes, and anything else you can think of. It’s good to have this area near some structures to build against, like a wall, fence, a grove of trees, etc. All materials should be frequently inspected to ensure no sharp edges or pointed ends. Disintegrating objects should be removed. 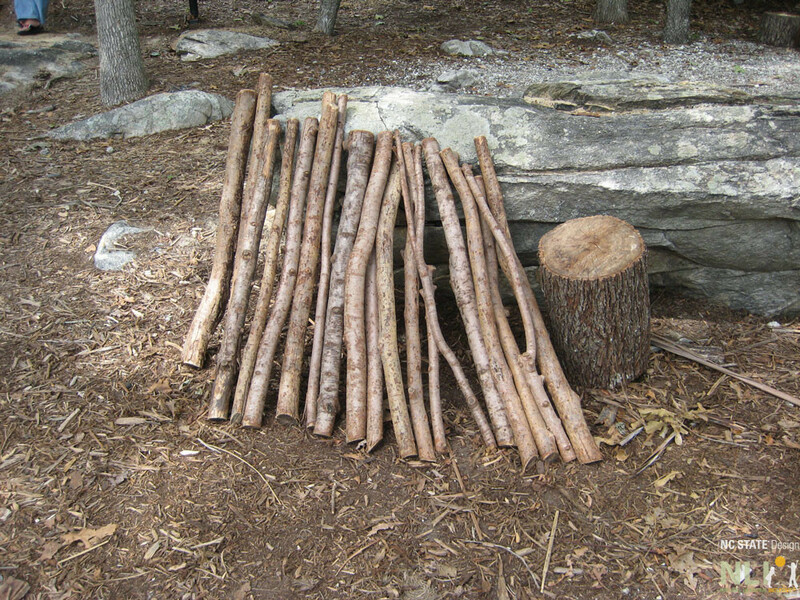 An example of a natural building artifact left by a child in this playspace at the NC Zoo’s kidZone. 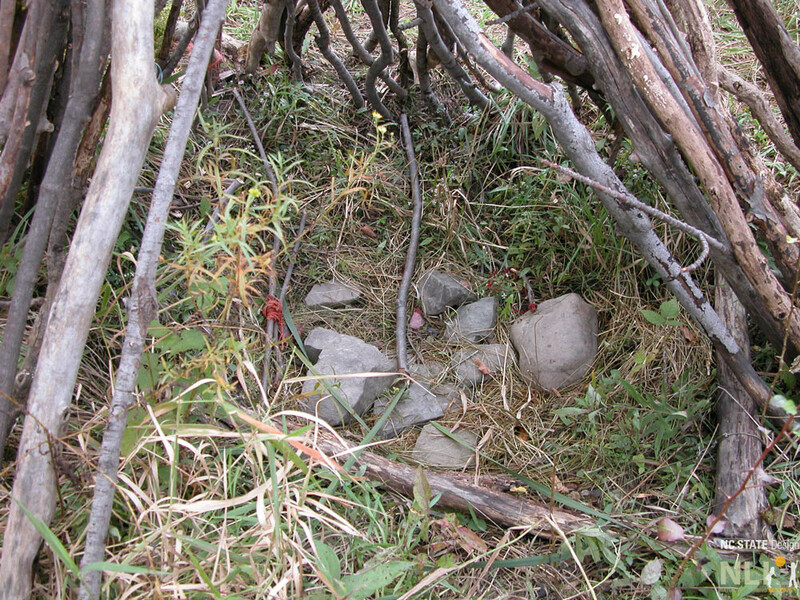 Inside a natural building fort construction. 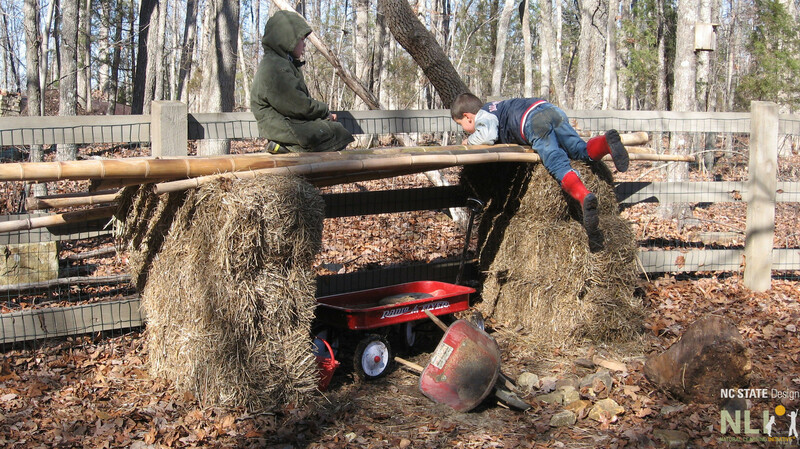 Using straw bales and bamboo, these boys have built a two-level fort for themselves. A boy carrying a stick while building at the NC Zoo’s kidZone natural construction area. 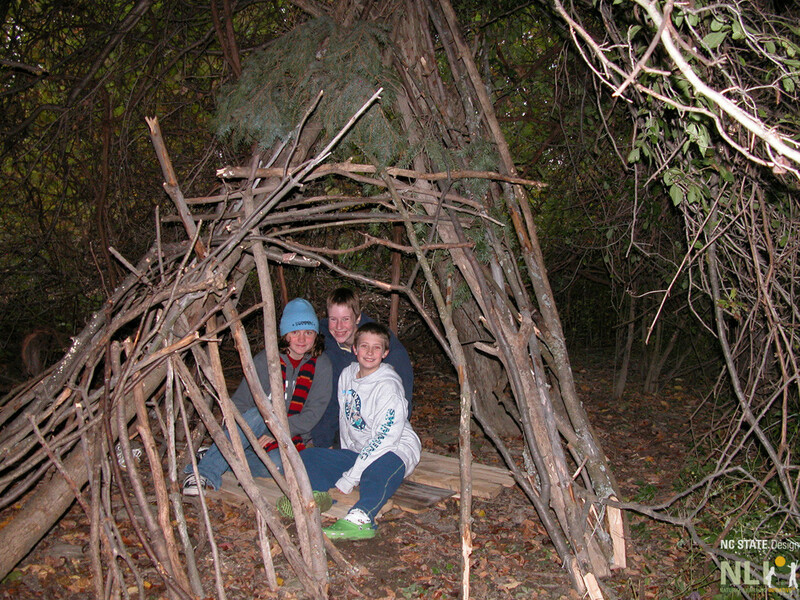 Three children enjoy their natural construction at the Elizabeth Ann Clune Montessori School of Ithaca.